Cameron Poe (Cage), a former Army Ranger, has been in prison for a murder he committed in the heat of passion while defending his wife’s honor. He doesn’t realize when he finally gets released that his flight home to his wife and his daughter whom he has never met will be more than a little turbulent. 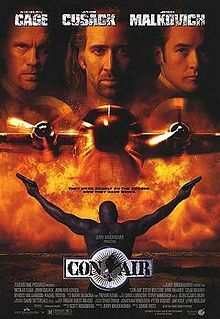 The cargo plane is also carrying some of the nation’s hardest criminals, including Cyrus “the Virus” (the ever-delightful John Malkovich), Diamond Dog (Rhames), Garland Greene (Buscemi), Johnny 23 (Danny Trejo) and others who have plans of their own. Cage’s awesomely bad Southern accent, particularly when he asks a freshly-deceased prisoner “Why couldn’t you put the bunny back in the box?” Cage leads a fantastic cast of characters on a two-hour romp that ends in an explosive final scene. John Malkovich played more than a worthy adversary, as well. A 90’s gem, from an amazing time for action movies. F.B.I. 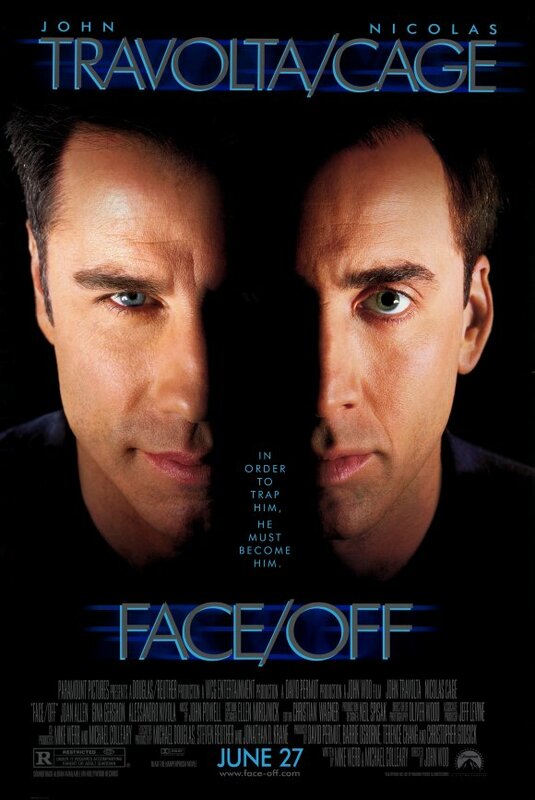 agent Sean Archer (Travolta) has been chasing Castor Troy (Cage), the man who killed his son, for years. The two meet in a gun battle, and Troy is wounded to within inches of his life. He’s kept alive so that after an unbelievable surgery, the two could switch faces, allowing Archer to infiltrate Troy’s gang to foil their terroristic plot. Troy, of course, awakens from his slumber, and forces a surgeon to plant Archer’s face onto his own, and proceeds to join Archer’s wife and daughter, posing as the man they know. The story and acting are top-notch. Both actors play hero and villain, and mimic one another’s vocal patterns and acting methods in subtle ways, which is an interesting plot device and a treat to watch. 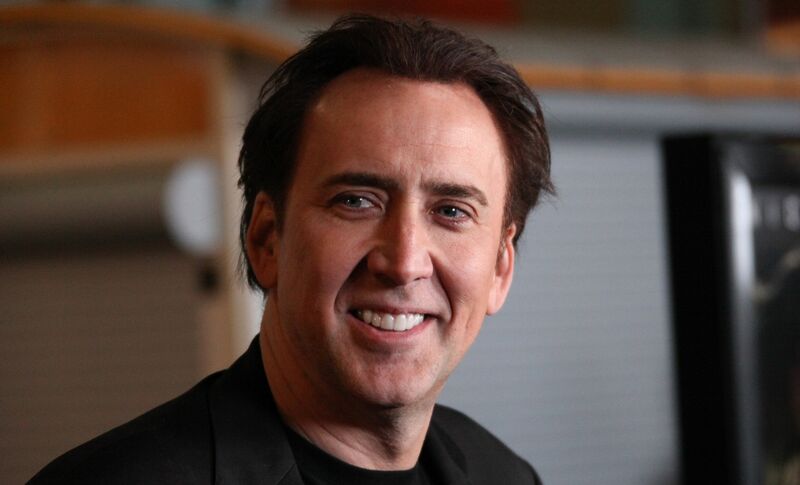 Cage played Troy with flamboyance and animation, and clearly enjoyed the villainy of his character. 1997 was a big year for the actor. Stanley Goodspeed (Cage) is an even-keeled chemist who is tasked with breaking into Alcatraz along with ex-con John Patrick Mason (Connery) to stop a rogue military general, Francis X. Hummel (Harris) from unleashing a nerve gas attack upon the unsuspecting citizens of San Francisco. In exchange for keeping his finger off the trigger, Hummel demands an enormous ransom, for the purpose of paying the families of American soldiers who were killed during special operations. 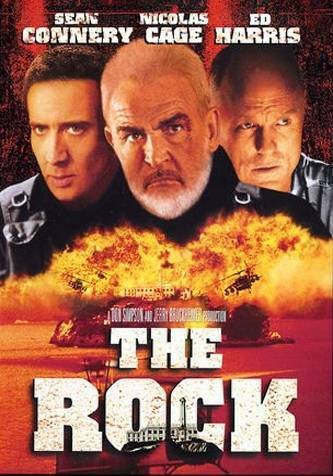 Another quintessential big-budget 90’s action movie with a tremendous cast, fairly absurd plot, and convincing villain. Ed Harris has found himself the antagonist in many a film, and he’s always a delight to watch in that character slot. Cage plays up the mild-mannered, wrong-place-at-the-wrong-time characterization, and when his character reluctantly gets dragged into dangerous and unfortunate situations, he’s often at his best. Oh, and Sean Connery. Enough said there. Notorious retired car thief Randall “Memphis” Raines (Cage) gets dragged back into the life when his younger brother and crew-runner Kip (Ribisi) screws up a large car boost, rubbing the criminal mastermind who hired him the wrong way. In order to save his brother’s life, Memphis must quickly assemble a crew of former associates to help him steal fifty cars in one night, as a detective with a personal vendetta (Lindo) closes in on him. A gearhead’s dream in movie form, this film is full of incredible cars, many of which are seen in action as they’re being stolen. 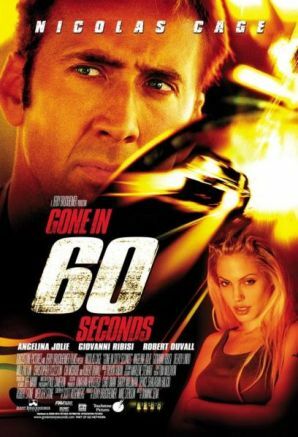 Cage has a formidable supporting cast behind him, and the film has a great balance of action, danger and comic relief. Cage is great here as the embattled big brother who has to break the law in the name of brotherly love. However, Eleanor is the movie’s real star. You’ll know what I mean. And for those who care, the bad guy (Eccleston) was The Ninth Doctor. 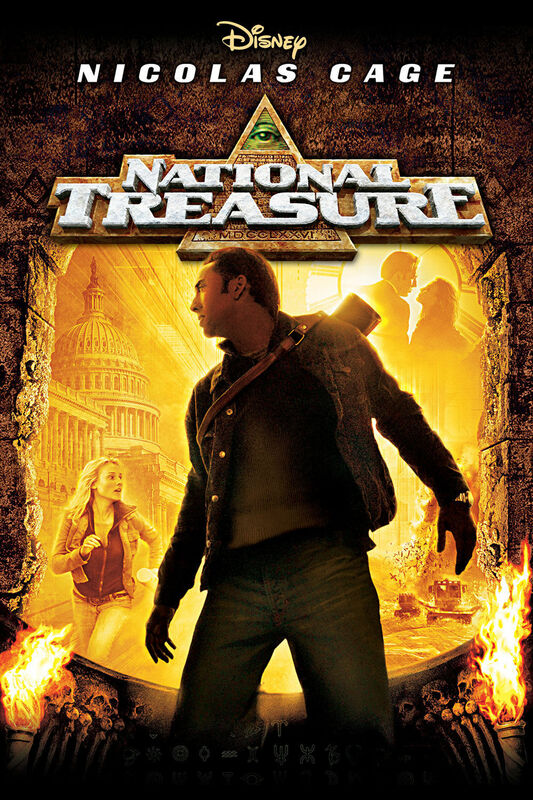 Benjamin Franklin Gates (Cage) has devoted his life to hunting down a treasure of epic proportions, following a seemingly endless line of clues until he comes to believe that there is an invisible map on the back of the Declaration of Independence that will lead him to said treasure. When he and his former partner Ian Howe (Bean) part ways on the count of villainy, he must steal the sacred American document to prevent Howe from doing the same and finding the priceless lot of historical goods. This is one of my favorite movies of all-time. Cage clearly relishes his character’s love for history, and he’s a ball to watch in this incredibly fun film. Once you get past the ridiculous plot, the film is loaded with action and adventure, comic relief from Cage and his sidekicks, and more historical references than you might be able to handle. When Gates says with a sober straight face, “And I’m gonna steal it…I’m gonna steal the Declaration of Independence,” proceeding to walk away dramatically, it’s one of those stand up and cheer like a moron moments in film that I just love. And how’s this for convenient writing? When it’s brought to light that the characters need a reagent to apply to the Declaration in order to see an invisible clue on the back of the document, Gate’s father (Voigt) just happens to have an entire bowl of lemons just sitting in his refrigerator. Oh, and Sean Bean doesn’t die in this one.